The Ansonica Costa dell’ Argentario extends over the hilly zones and coastal areas of the Maremma. It’s mostly grown in the municipalities of Manciano, Capalbio and Orbetello and the entire territory of Monte Argentario and the Isola del Giglio. The same variety is also grown on Elba Island and in some areas of Sardinia and Sicily, where it’s called Inzolia. 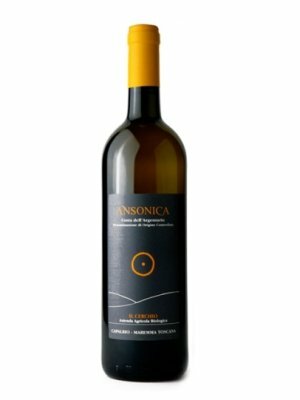 The Ansonica white wine needs intense sunshine, high temperatures and no or very little rainfall, which is why it’s utterly at home in the gorgeously mild microclimate of the Argentario Coast. As the grapes are mostly grown on Giglio Island close to the sea, they produce a wine with a heavy salt content and a high alcohol level.